If you haven’t installed the Jelly Bean 6.2.B.0.211 firmware yet, you can do it manually bu visiting below link. 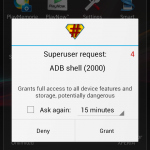 Just like before XDA Recognized Developer DooMLoRD has released a Pre-Rooted Xperia S, SL Jelly Bean 6.2.B.0.211 ROM which can be flashed via CWM Recovery. If you want to root the Jelly Bean 6.2.B.0.211 firmware then flashing the above ROM is the best idea. 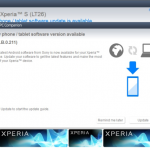 How to flash Pre-Rooted Xperia S, SL Jelly Bean 6.2.B.0.211 ROM via CWM recovery ? 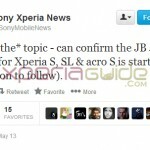 The below mentioned ROM is only for Xperia S and SL. please do not cross flash it on Acro S LT26w. ROM can be flashed on both locked as well as unlocked bootloader phones. It is mandatory to perform a “Factory Data Reset” and “wiping all Data and Cache partitions”. Do get a backup of your old ROM before proceeding to be on safe side. Take a back up of your data also. You can easily flash “update.zip” via any recovery. Pre-rooted SuperSU and BusyBox installed. 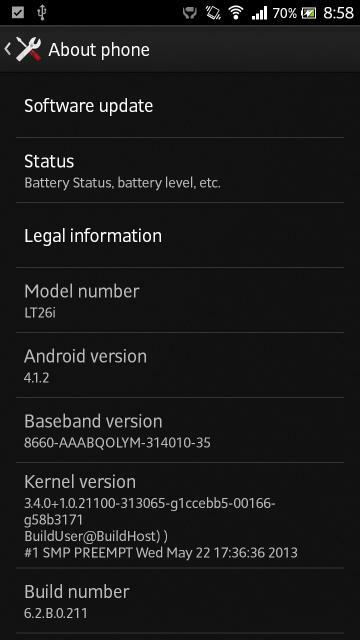 Working signed stock kernel included. Download the above pre-rooted ROM and save it on your SD Card. Reboot your phone into recovery (CWM). Kindly check and make sure that /system partition is unmounted. Now flash the “update.zip” from ROM (Time consuming process). DooMLoRD has mentioned that during the first reboot, phone will reboot again after the boot animation. Preceding boot will take more time, it is expected. You may see “flashing firmware screen” during or after some boot, let is happen, do not interrupt the process in between. ROM will be stabilized after some reboots. If you face any issues during flashing do let us know, we will help you out 🙂 Drop your concerns in the comment section below. As people are reporting many bugs in Jelly Bean 6.2.B.0.211 firmware if you have some do mention below. 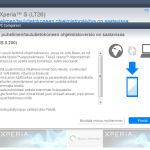 Hello , I have Xperia S with 6.2.B.0.211 installed without root , can i flash this pre-rooted version of the same version over this one ? if it is possible to do so , kindly mention how to do that using the CWM recovery , because i can’t get into recovery mode using any combination of keys ! yes you can install pre-rooted version over this. Do back up your ROM in case anything goes wrong you can go back. Reboot your device into recovery. (CWM). To enter in recovery press “volume up” button again and again as soon you see “Pink” LED at boot up. Now flash the ROM’s “update.zip”. (time consuming step). “Wiping Data” in recovery is recommended. sorry for asking alot but it really never comes to CWM mode , i tried what you said many times without any results , it always boots as normal .. I really will appreciate your help .. Yes because it is CWM recovery not installed. I have corrected Wi-Fi issue on My XSL by “resetting the phone “factory reset”. It worked for me, don’t know will it work for you. Detailed steps can be found on above link for installing CWM. It’s necessary to have root buddy…you need to root your device then ? so if I want to install this pre-rooted ROM , I need to root my ROM .. hmmmmm , I think that is going to make me crazy after all …. thank you very much Anurag for your patience … i intend to study the basic steps of programming Android Devices at my Phd thesis maybe next year , thanks alot …. hey, i am thinkin to try another method without unlockimg bootloader, i downgraded back to ics, rooted it , downloaded the ota root keeper, and updating it … as the app says it can backup the root.. shall i go further ?? please reply as soon as you can? Yes you can, it will not do any harm to your device.. I tried this method, after rooting the ota update is reaching till 99% and says could not download.. 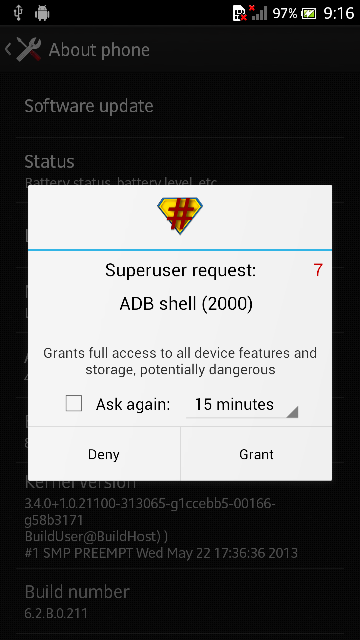 I know to install cwm on a locked bootloader, can I flash this rom on my locked bootlader having cwm on ics. 45 stock?? 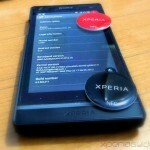 Can roms for xperia s work on xperia sl? 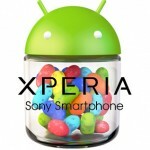 I have Xperia S LT26ii.. I have rooted by phone and then installed cwm recovery. 1. It successfully installed it. 2. Gone to recovery screen. 3. Wiped all data & cache partition. 4. Tried to installed the kitkat version using OpenSEMC-kk-beta3.zip. 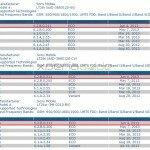 5. but it failed saying that this package is not for LT26ii. 6. After that I rebooted the phone. 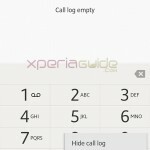 Now the phone shows the Sony logo only and cannot boot further. Please assist/ help me to overcome this issue. Your early help will help me a lot.